In year 1890, Dr. Nikola Tesla single handedly developed the concept of Alternating Currents; he modified it to give rise to more efficient high frequency alternating currents and then discovered the phenomenon of Wireless Electricity and all this as Dr. Tesla always claimed were in perfect harmony with Mother Nature. We also know that to defame Dr. Nikola Tesla’s AC system of current, Edison performed things like public electrocutions of the animals. With this Dr. Tesla mainly became upset by the fact that the AC powered electric chair was being used to electrocute prisoners to death. Dr. Tesla being a spiritual person and a highly compassionate individual, his heart reached out to the plight of these prisoners as well as animals who were subjected to this inhuman torture. Dr. Tesla decided to take steps to counter this disinformation being spread by Thomas Edison. He called for a press conference with the help of George Westinghouse and invited some of the prominent scientists business leaders and the press at his own lab to demonstrate the actual nature of Alternating Current. There he created a setup having AC Generators generating upto 1,00,000 volts of electricity. 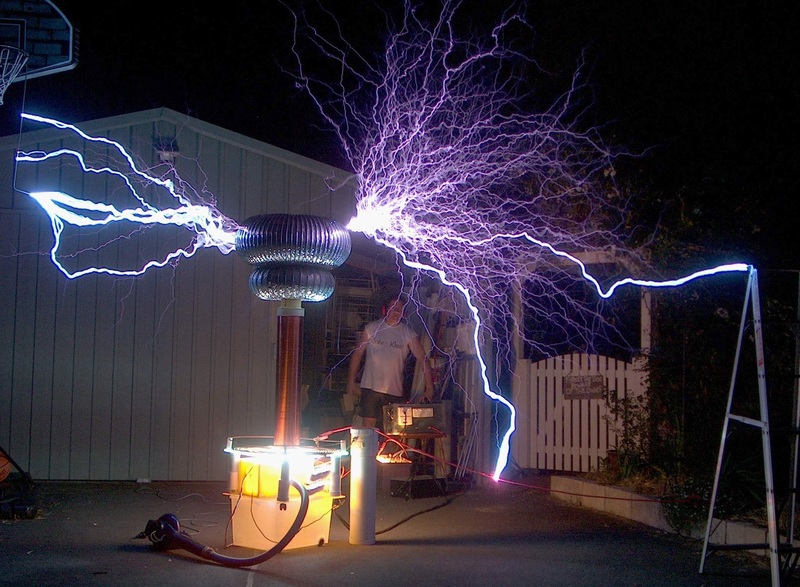 To demonstrate that AC system if properly controlled, is not harmful to human beings, Dr. Tesla sat next to the generator that was actually generating 1,00,000 volts of electricity. He did this at the risk of his own life for the benefit of people, sake of humanity and to quell all the rumours surrounding AC Current.He emerged from it totally unharmed, there was not a single scratch on his body, this left all the spectators flabbergasted, and people were awestruck to see this. Remember, Edison passed AC electricity through animals and prisoners whereas Dr. Tesla passed electricity through his own body. 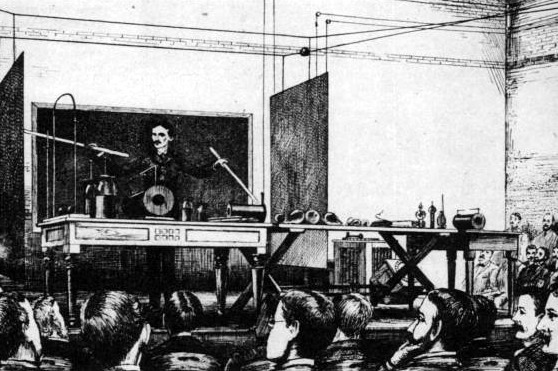 This is also the first time Dr. Tesla demonstrated WIRELESS ELECTRICITYto the public. Yes, you heard it right!! “Wireless Electricity” that is ‘electricity without wires’, and in doing so, he lit fluorescent bulbs and tubes while holding them in his own hands. How did he achieve this? To know how Tesla invented this, we must go back a little to know about the experiments that he performed in his own lab at New York. Dr. Tesla’s laboratory in New York was a multi-level research and production facility in itself. It had several sections, multiple floors and multi level galleries. We can imagine it like a minuscule research and development mall. Dr. Tesla created several transformers and generators in the lower floors, and had his private research laboratory on the upper floors. He also had a staff of a few technicians. Mr. Kolman Czito was one of them and a trusted friend of Dr. Tesla who stood by him for the remainder of his life. Here, we must note that Dr. Nikola Tesla was extremely hard working person. He built this huge lab all by himself from the funding he received from George Westinghouse. During his experimentation and research whenever he used to discover something intriguing, he used to immediately pursue it by experimental study and with hundreds of permutations and combinations. This kind of study and research gave him enormous knowledge and he was able to formulate new inventions and acquire new patents. This is how he constantly improvised his own inventions and researches. Dr. Nikola Tesla had developed a more efficient and superior working polyphase AC system that could supply electricity at great distances. But Tesla did not stop there. 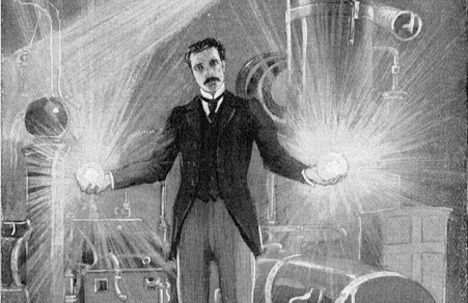 He continued his research and made consistent efforts to discover a more efficient kind of polyphase AC system, and in doing so, Dr. Tesla started increasing the frequency of his AC generators. With his extensive research he increased the AC frequency upto 30,000 Hz (cycles per second), This gave birth to Higher Frequency Alternating Current. Dr. Tesla believed that such high frequency alternating currents would supply power to the entire world. He built and patented several remarkable generators supplying higher frequency alternating current. The most remarkable fact about high frequency currents which was discovered by Dr. Tesla is that they were ‘completely harmless’ even when it comes directly in contact with the human body. Even if a human accidentally touches the live current, due to its high frequency, the current would simply pass from the outer surface of the human body, without doing slightest of the damage. In scientific terms this property of current at high frequency is known as Skin effect.This is the reason why Dr. Tesla could demonstrate that the AC system is completely harmless for humans. During his presentation, he touched the live current carrying electrodes with his bare hands and still people could see nothing happening to Dr. Tesla. While dealing with high frequency alternating currents, safety of all the people had alwaysbeen one of the main concerns of Dr. Tesla. While carrying out a series of experiments on high frequency AC in his lab, Dr. Tesla observed a strange phenomenon which altered his view of electricity forever. During one of his experiments, he took a thin metal wire and applied high voltage AC current closing the electrical circuit in an instant. This sudden application of current vapourized the wire. As he increased the input voltage, Dr. Tesla felt a powerful impact like a blast of needles penetrating his entire body. He first thought that these might be tiny shrapnel from the exploding wire. Tesla rubbed his arms, face and even chest to see if there was any actual damage or penetrations, but there were no signs of such injuries to his body. Further to this, Dr. Tesla added a thick sheet of glass between him and the experimental setup, also added copper electrodes and stood at a distance of 10 feet, but still the needle like stinging effect was observed as soon as the circuit was completed / closed. Hence he modified his experiment several times with lot of variations, but still the stinging effect was present. This was result of application of electric current at high frequency for a short interval of time i.e. impulse. This was the birth of the concept of wireless electricity. Dr. Tesla, on the basis of these observations, concluded that the circuit being completed instantly caused an impulse of current to travel through the air – i.e. travel wirelessly and hit his body. All the further work of Dr. Tesla was based on the principles of impulses, frequencies and resonance, all of which we will see in the coming series of articles. In our next article we are going to see how Dr. Tesla modified this concept of current travelling through air and created the actual working model of Wireless electricity. Wow! very informative and interesting. Cant’ wait for the next article. Many people even now believe electricity is dangerous and afraid to touch any electrical appliances. Once you know the basics and know what is dangerous and what is not life becomes easier. I do not know why the technology of wireless transmission is not taken seriously. Hari Om Samirda.. CLASS article..
‘to defame Dr. Nikola Tesla’s AC system of current, Edison performed things like public electrocutions of the animals. With this Dr. Tesla mainly became upset by the fact that the AC powered electric chair was being used to electrocute prisoners to death. 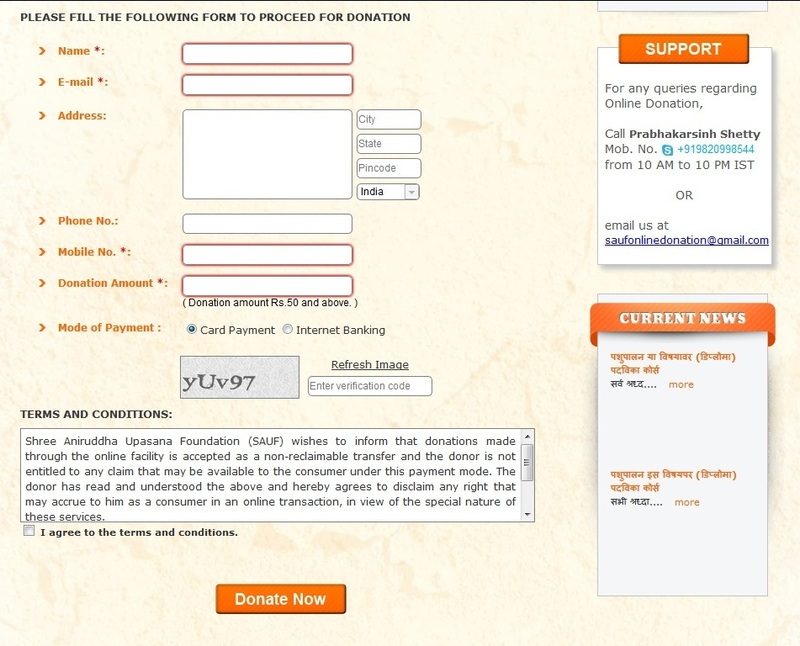 Dr. Tesla being a spiritual person and a highly compassionate individual, his heart reached out to the plight of these prisoners as well as animals who were subjected to this inhuman torture’ .. its shows that how kind generous and spiritual humanbeing Dr. Tesla is..
we are Aniruddha Amadnya to you Samirda as we are come to know all this fantastic and most most informative knowledge just because of your most hard efforts and then let it know to us by your this AWESOME blog.. Shreeram.. Ambadnya.. Aniruddhadnya..